I target peak and size on alternate weeks. One week peak and another week size. Apart from it i dedicate one day per week entirely to triceps. So basically i workout on my arms twice a week. My favourite exercise for arms are hammer curls, curved barbell curls, the concentration curl, skull crushers , kick backs and triceps dips. Last edited by Madplayer; 16th February 2017 at 11:39. I think they do. Infact quite a lot of exercises work on your forearms even if you dont intend them to. I prefer throwing in couple of extra exercises for forearms from time to time though. It would look really awkward if you have nice upper arms but not so good forearms. Allow that am focusing on the upper body like @Haroon786 want them big guns yo! Training for a kabbadi match vs @SL_Fan we coming for you! Dips, tricep extensions, barbell curls, hammer curls, dumbbell curls, concentration curls and chin ups. Any type of over head presses also hit triceps. Usually the latter as the weight enables me to perform more reps, however, if you're feeling arrogant and want to max out then I suggest the former too. A mixture of volume and strength is the best combination as per my experience. Thanks will combine both, going to specifically target my biceps, triceps, forearms and shoulders from now on and leave the other body parts until later. @Madplayer actually has suggested quite similar exercises to my ones, also a good set. Yeah. I will be sore for two weeks at least after hitting the legs. I have only skipped legs once before and that was when I started going to gym initially. Anyway, that's for later. Hitting chests tomorrow which's going to be good. Lol my workout is exclusively leg day and I don't have the much dreaded soreness. Sure I'll be sore for the rest of the day but back to normal by the next day. Maybe because I have been playing soccer all my life and still play at a good level and my legs are used to taking a pounding. My workout everyday time I hit the gym is 5 sets deadlift, 5 sets leg press, 3 sets flat bench, 2 sets incline bench, 15 minutes inclined brisk walk/jog. This coupled with the soccer league matches I play on Sundays keeps me in good shape. Yeah, I'm very well aware of that. I'm usually one of the first to reach gym in the evening so don't see that being a problem. I thought there was a thread on this already but seems there is only one related to Ramzan workouts. So lets start a general thread. To begin with I have a question about how to maintain your workout gains during periods when you are not frequenting the gym. While in an ideal world you would want to be regularly working out throughout the year, every year, I have come to accept that this is something I just cannot do due to my habits and personality. I can go crazy on fitness for 7-8 months, workout regularly 5 days a week for 2 hours each. Get lean and also increase muscle mass whatever but then I just reach a breaking point and stop doing it and quit cold turkey. For the first months or 2, there is no discernible difference but then the face fat starts coming in, start getting a bit of a beer belly and lose definition in the arms by the 3rd month or so. This continues for a couple of more months until I have an epiphany that I'm losing all my hard work. So I go back and the whole process starts again on repeat. Now my main issue is that in this 4-5 month period I just cannot bring myself to go to the gym. The whole going to the gym and driving back is what I dread and has been an issue ever since I graduated from college and now dont have the university gym wthiin a 10 mins walking distance. I am thinking of investing in some home equipment for basic weight exercise (dumb bells/free weights, bar, mat and maybe a pull up bar. What would you guys advise to buy assuming I have a limited budget but still reasonable amount? The aim is to use these in the period when I dont feel like or have the time to go to the gym. Secondly what would be a suggested workout plan to maintain a lean figure (achieved through cardio) through these limited workout equipment? Is it even possible to initially lose fat through weight exercises? Or is cardio the only way as it has been in my experience. Its never a lot but I like to be lean. How does the science work. Mind you the diet is a typical Pakistani diet so not ideal. Any advice for improving cardio fitness? The real pain is losing chubbiness off the face. I have always focused on getting jacked instead of actually losing weight which is starting to haunt me. I used to be chubby, but then I started running and skipping lunch. Now I have no double chin or fat face. Even though I have gone back to old diet. I have been ill recently and I have lost a lot of weight can someone tell me how to gain weight. Running on treadmill or just the usual jogging outside? Outside. Have to admit that my knees and ankles are fairly weak from running and I'm not even 20 yet. I would recommend to do it 2 times a week. 3 max. When someone tries to correct my form... be gone! Down to 68kg from 73kg. Not bad. Damn, i didnt see this post. Sorry. To begin with, go for half a kilometer at normal jogging speed and then half a km back. Do this for a few days. If you feel you can do more distance , then go for it. After a few days when stamina would increase, add a few more meters but always keep in mind that you have to get back home. When you start feeling that you can do more than this, add small bursts of fast running in between. Eg. 100 meters normal jogging and then 20 meters fast jogging and then 200 meters normal jogging and so on. With time, increase the fast running distance. Also, I seriously recommend jump ropes for cardio. Its better for your knees as well because unlike running, your weight falls on both feet during skipping rope so its better for long term health and takes lesser time than running. Also you can do it at home which is always an advantage. A couple of weeks. Due to health reasons, I've had to cut out all forms of junk food and eat in moderation. Makes a huge difference. Bulk season is officially over. I have started running again. Stop running. Face your problems head on! Be a man. Well if you read my user name correctly, I am a man. By running I mean jogging around the streets. Mainly to cut fat, improve cardiovascular levels, and gain muscles in legs. I don't know if you knew that already, but, alas. Legs are pretty good but my upper body is a twig.. need some gains! Cut fat.... debatable. You will get quicker change in body composition with lactic acid training. Gain muscle in legs.... no, ever seen a jogger with muscular legs? Yes, yes and yes. Because I have been running for years now and I know the effect that it has on my body. Your legs are the things taking you forward, if you don't have muscular legs how will you run??? All of my muscle comes from Desi diet. Karahi, Nihari, Qeema, you name it! I'm stronger than ever and not even close to being fat. 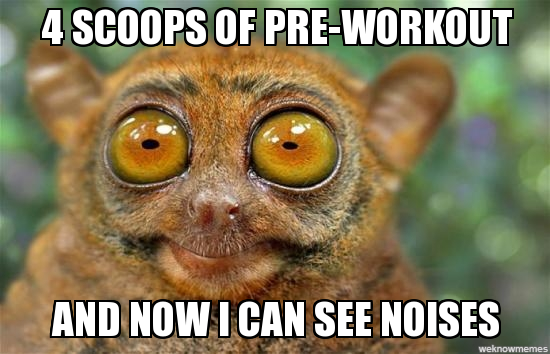 Nope, it's always the pre workout flex. Hello brothers. Which one of these ab wheels would you prefer for home workout? I am looking to go with a single wheel as I want my routine to be as intense as possible. But I am afraid it could be too much, so a progression with wider or double wheel could be a smarter thing to do. As a measure of my current core strength, I can hold 3+ minute perfect planks, so I think I should be fine with a single wheel. But then again, I have never tried it, so would love some guidance. So I'm pretty skinny and I want to gain muscle, how should my diet be? A quality protein shake with skimmed milk, banana, peanut butter - Blend and drink between morning snack and lunch time. Try just for two weeks. works like charm. I used to be 45kg in school days then I joined gym and in a year I went upto 71 kg.. Now for last 9 years I have been regular in gym and in last 5 years I am performing martial arts and boxing..
Key to gaining weight is eating a healthy balanced diet.. IIRC you were 13 year old right? Don't worry too much about being skinny right now play football or basketball or any decent physical sport for 2-3 hours a day, drink 2 glasses of milk a day, eat meat.. Key to gaining weight is to gain muscle mass not fat so eat less but frequently.. Try to eat 5 small meals a day with fruits included in evening.. I don't understand the fascination of brown guys with upper body, 80% of the people I see in my gym focus twice or thrice as hard on upper body than lower body/core.. Also the best excercise is deadlift and I hardly see anyone doing it wonder why? Eat 5-6 times a day small meals.. Rather than eating 3 big meals eat 5-6 smaller meals.. Count the amount of calorie in your daily intake and keep increasing it by 300-500 every week.. If your doctor advises start working out again or playing sports.. The deadlift is my favourite, breaks a real sweat and works on multiple muscles. Here in the US, more and more people are realizing the error of their ways and ditching the upper-body-centric "brosplits." The cobwebs are off the squat racks, so to speak. Full-body strength routines are popular again. Does anyone here ride mountain bikes? I'm being pressured into buying one, because my team at work are all avid mountain bikers and they want everyone to bike during lunch, as a team building exercise (not to mention the actual exercise). Lets just say my trip to the bike shop was an eye-opener. Bikes today have dual suspensions, like motorbikes. Hydraulic disk brakes. Carbon fiber or even titanium frames. They are works of art, and they're not cheap. I'll have to shell out a pretty penny, but at least its good cardio, or so I hear. Also apparently you must mountain bike in Colorado, because Colorado put the mountain in mountain bike. Yea to each their own I guess.. I remember when I first joined gym back in college it was a desi gym and the trainer had the motto lift big weights without caring about the form nothing on compound exercise or anything the desi mindset of build big muscles.. Slowly with the advancement of internet I got to learn about the real workouts.. I'm almost 15, and I'm so weak, weakest out of all my friends, no joke. It's not like I'm not active, I'm active pretty much everyday, at least in the summer. I play soccer with friends and also play cricket. I'm always out-muscled in sports. That's why I worry. On to what I actually eat, I eat 2 eggs everyday in the morning (love eggs, never miss a day ) with roti or in a bagel, drink milk, my mom usually makes me a burger for lunch, come home adn eat whatever my mom made, some saalan or rice with meat. At night I usually eat cereal. Also I eat a banana, couple of oranges and like 2 or 3 dates every day. Oh and I limit myself to one junk item a day, usually like a little granola bar, sometimes I have plain cake. It's ok mate I understand when I was your age I had the same issue, I was most skinny person in my class.. I used to be one of the most active person in sports but still skinny.. I don't know if this will help you at your current age but when I gained huge muscle I followed a simple formula I got online from some site.. I don't remember everything in diet chart but the basic Crux was to calculate the amount of calories you eat a day and increase it every week by 200-300.. To get to 3000-3500 calorie a day (for an adult male looking to build muscle, not sure if this is applicable to you) you need to eat 5-6 meals a day.. So try eating light meals in between your major meals..
Also as kids lots of kids have "pet Mei keede" not sure if you guys know what it is over there but that's how we call it here.. Get checked for that and if you have then get the medicines to get rid of them.. If it's just for casual use I;d suggest you go to your local Walmart and get a decent $150 bike. Bike shops are going to cost you a lot for your use. That's just it, it isn't for casual use. Some of the trails nearby aren't for the faint of heart. Be in calorific surplus with a high protein content and go and lift weights. The program should revolve around squats, deadlifts, bench/dumbell press, pull ups/chin ups and carries (carry a weight in your hands walk for 30-60 secs). You can add in a day exclusively for the show muscles. I'm going to join the gym starting in July, no point right now as it's almost Ramzaan. Has anyone tried the Ketogenic diet? What were your experiences and for how long did you stick to it. Also, when you tried the Keto diet, did you revert back to your orignial diet? What were the side effects? I was on it for a few months. Atkins, to be precise, since there are a number of keto diets. Atkins limits not only the number of grams of carbs in the various phases, it also lists which carbs you can eat. As for experiences, the only tough part was induction, i.e. entering ketosis. After two days, my glycogen was used up, and that's when the notorious "keto flu" hit me. It didn't last long for me, only a couple of days, but I know one guy who had it for four weeks. Once that was done, and I was in ketosis, it was smooth sailing for the most part. Carb cravings did occur, but I learnt soon that they pass as quickly as they come. Weight loss was rapid in the beginning, as expected, because the glycogen was used up so quickly (along with the water that is stored with the glycogen). The weight loss stabilized, again, as expected, and I could really tell it was entirely fat, because there were significant changes in the way my body looked. I didn't consciously come off it, it just happened. One day of not having low-carb meals available turned to two, and so on. I did not regain all that weight. After regaining a few pounds of glycogen and water, weight loss resumed, since I was still eating healthy, counting calories, and on the Intermittent Fasting regimen. There were two other people I know who were already on the diet, and they told me to drink a lot of water, or you risk kidney damage. I worked my way up to a gallon of water a day before I attempted keto. If you're willing to stick with it, it can be a great way to ease off the unhealthy carbs. Atkins does introduce healthy carbs in phases so that you're able to find your personal sweet spot, pun intended, where you're losing at the rate you want or maintaining. I'm off keto, but I still diligently avoid unhealthy carbs. Another thing it did was remove my fear of eating fat. It really isn't the enemy, junk carbs are. One drawback initially was having no glycogen to lift weights. However, if you stick with it, you'll eventually be "keto-adapted," which is different from simply being in ketosis. There are many athletes who are keto-adapted and have no problems with strenuous exercise, because they're at a stage where their bodies burn fat, not ketones (which are a byproduct of fat usage), during exercise. Last edited by Nostalgic; 5th May 2017 at 08:51. @TQ89 trust me you can easily cook chicken breast leg lamb steak and lamb chops. You just put them in a griddle pan bit of olive oil.or coconut oil n it takes 5-10 mins to make. u can season the chicken with all desi spices so u dont have to have it bland. Im a very average cook and ive managed to do this so far. Also eat a lot more greens like lettuce cucumber n mushrooms n tomatoes are good too. Almonds cashews pecan nuts are good.for a snack instead of say a chocolate or.crisp. n try cut out toast n heavy cereals like.porridge n weetabix. boiled eggs for breakfast are really good.